Name that specimen, IVPP edition. The IVPP’s public galleries are quite a lot of fun, and Scott and I spent a lunchtime wandering around. We saw many famous fossils! Can you guess the identity of the following close-ups? Answers at the bottom! 1. 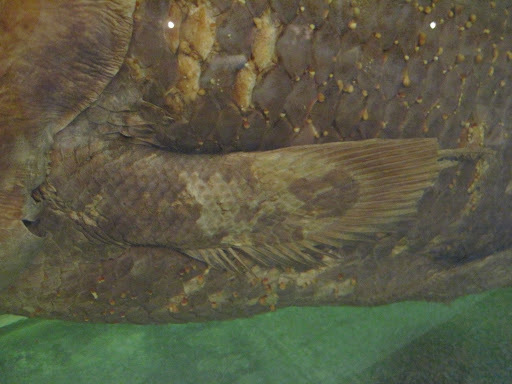 This scaly appendage is the lobe-fin of a preserved Latimeria. 2. 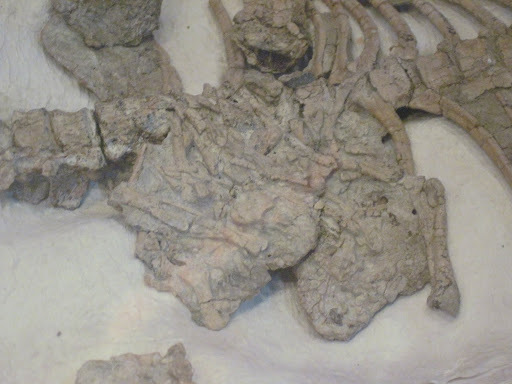 A delicious meal of Psittacosaurus can be found inside Repenomanus. 3. 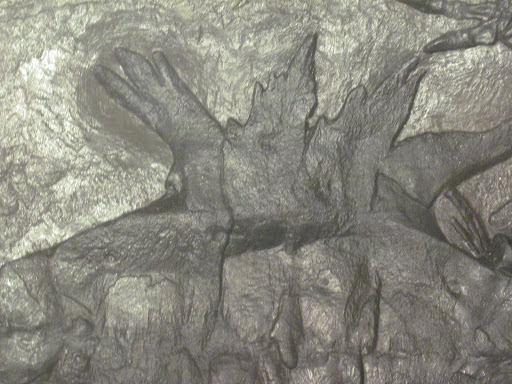 This friendly fangly smile is that of the pterosaur Haopterus. 4. 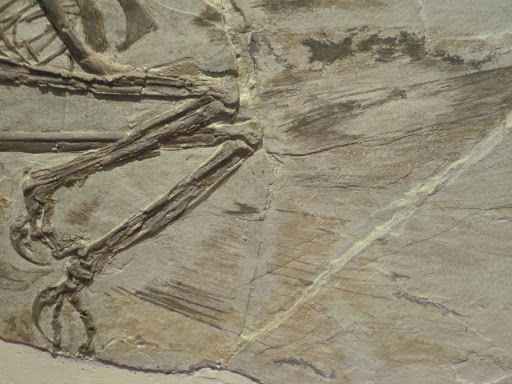 The delicate toes and feathers of Microraptor. 5. 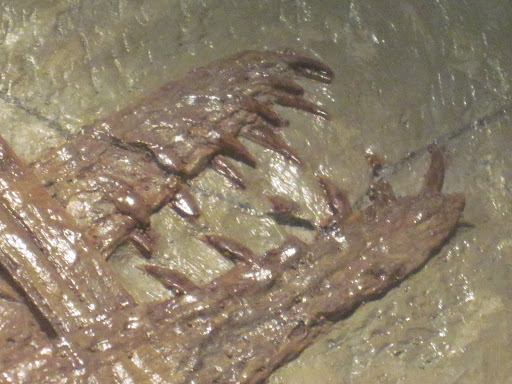 The perfectly placed plastron of Odontochelys. 6. 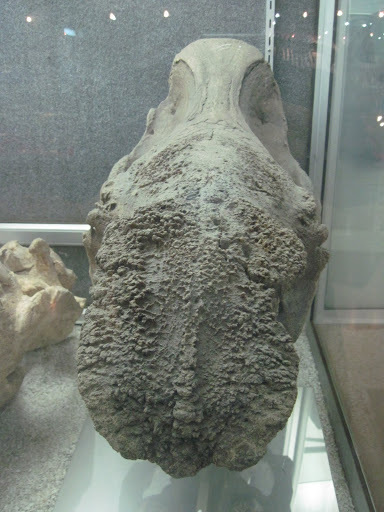 A Pachyrhinosaurus wannabe, the nose of the rhino Coelodonta. 5 for 6 if you count general identification. 3 for 6 if you only count correct genera. I saw that Repenomanus when I was there, too, but I could not remember what it was. Scored Zero on the ID, but still enjoyed the photos.